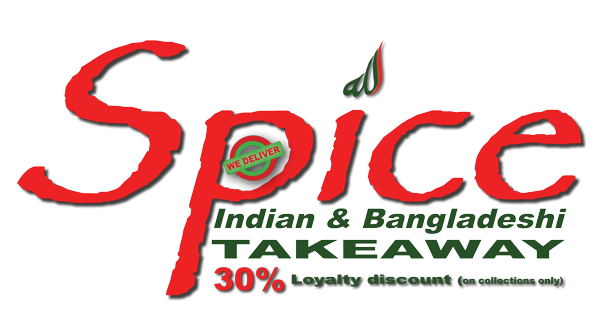 Spice - Spice, St Austell offers great takeaway food delivered at affordable prices. Had couple of dishes delivered this evening. 1 x Chicken Korma and 1 x Chicken Tikka with rice and 2 Peshwari Naans. Absolute delicious. Great service. We?ve had several takeaway?s from Spice over the last few months, all have been excellent. Unfortunately the last one was delivered with a dish missing, which was disappointing. However one phone call later to let Spice know, an apology for the error and the missing dish was brought to us before we?d even finished the meal, excellent recovery Spice! Will definitely use them again, in fact we?re waiting for one now! i have ordered from this place before, dont bother with them. only had 4 tiny chunks of chicken in a curry, cold, rice was horrible and burnt the naan bread to a black mess so had a another naan bread that i didnt order in my bag! seriously why not just redo the naan i ordered instead of giving me one i dont even like with the burnt one i actually wanted! Management attitude was rude, couldnt care less what i said and then said some horrible things and hung up! pfft seriously there are better places in town! hello, can you please leave your name and telephone number? We will contact you as soon as possible. Just eaten another super Curry feast, six happy people. Two of them never had a take away curry before hence the medium dishes ordered. Great delivery timing even had the Boss help with the delivery and as usual the driver himself was as polite and friendly. I cant wait for my next meal. Thank you very much! Just eaten another super curry. Delivery took a little longer but once the excellent driver explained it was understandable! Thanks once again, can't wait for the next meal! Just had delivery of a big order and all the dishes were spot on lovely flavour and not too hot. Seven happy eaters! Delivery was pretty quick too! Thanks! Yet again another splendid meal, we will be recommending you to friends and family. Thank you. Tried a meal from Spice tonight and was more than happy with the food and the service, ordered online and collected from the shop at the stated time, food was hot, plentiful and very delicious, even given a freebie gift. Will definitely be using them again. Thank you Spice. I'd like to echo a comment below. I had a delivery 7 ish on Saturday. I checked my order to which I was missing naan breads and the driver was very rude telling me it's not his problem. After those comments I will be going else where from now on. we are sorry for the missing the items that was missed in your order i am sorry that my driver was rude towards yourself could you please let us know what driver it was and i can sort that out as i do not tolerate any rudeness towards any customers in anyway. if you could let us know what naans were missing we would like to put them onto another order for free for you thanks. Please feel free to leave a comment, enter your name and comment in the form below, complete the simple verification task and then click on submit. To prove you are a real person please select all the blue shaded boxes by clicking on them below.